Glad to be a Girl: Monday Already? Nope, so not ready for Monday ... again. Life feels a little rollercoaster-ish lately. And, while I'm enjoying work in retrospect, I'm finding it quite exhausting being pulled in many different directions and not really feeling like I'm on top of any one thing ... especially since I have days where I literally have an hour & half at my desk between meetings. But I'm still expected to get things done. So yeah, we had to decide about Turkey this weekend. And we've decided not to cancel, but rather to reschedule it. We are waiting to hear when the last Blue Cruise runs (sometime mid-October) ... it's be very sad to miss out on that. And we're hoping to still squeeze the trip into October since the weather does not sound awesome in November. But if we have to, we'll still take our chances and go then. It's a holiday regardless, right? And, if we don't postpone, we lose our entire tour deposit (we could probably get about 4k back on our flight bookings, but that'd be it). Anyway, so we'll probably finalise the new dates in the next day or so. The Trucker's foot is still huge, but he managed to put weight on the injured foot this weekend. So he is feeling more confident about his healing. Other than that, it was a mixed bag of a weekend ... 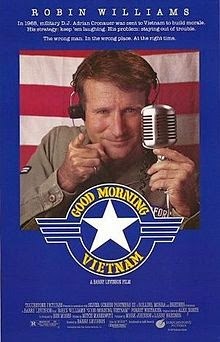 I got home from work exhausted from the week and curled up on the couch watching Good Morning, Vietnam. Yeah, after Robin Williams' death I downloaded a bunch of his old movies ... 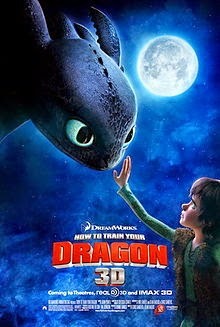 I thought having now been to Vietnam might make the movie a bit different for me, but it wasn't really ... I mean it's not like I could recognise anywhere. Still, he is great in that movie. In the evening we headed to dinner at Cafe del Sol with @Sascha_with_a_C. Shew, that place is amazeballs. We should go there more often. I had my absolute usual (my favourite! ): The Beetroot Carpaccio to start, followed by the Amatriciana pasta. We had a fairly late start to Saturday morning and then headed to another friend for brunch at her new house (I think she moved in around the same time as us, so not that new, but I hadn't been there yet - haha). After that we had a very lazy Saturday. We both dozed and napped till I took Pepper for her walk and then we had Ostrich Burgers at home for dinner. We watched The Killing S4 this weekend. They so nearly mucked up the ending. If those 2 had kissed, which they probably did but thankfully didn't show ... damn, why do they think everyone who works together ends up together in series? So yawn. All in all, I'm sorry it was a the final season. We both enjoyed the show. But the characters certainly spiraled in this final one ... so I guess they actually did a pretty good job of tying it off. As always, you can NEVER predict whodunnit :) Definitely a giant plus. Then I made us a late lunch and in the evening we tried to watch Bad Neighbours, but stopped half an hour into it :/ I think the highlight of the evening ended up being when Gypsy got kicked off the couch (our laps) so we could eat dinner and she went to stand next to Pepper's bed (where she was sleeping) ... she does this often and usually curls up on a piece of blanket hanging out of the bed. But this time she climbed in and sat right next to Peps. Usually Pepper can be completely floppy-asleep ... until she spies Gypsy and then she is wide awake and wants to play. So this was super unusual. 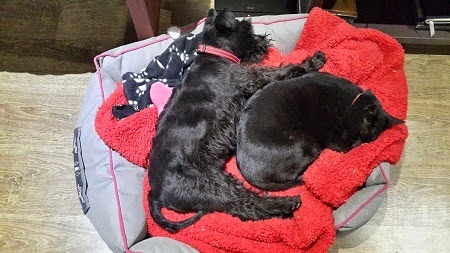 The two of them slept curled next to each other for probably 2 hours. 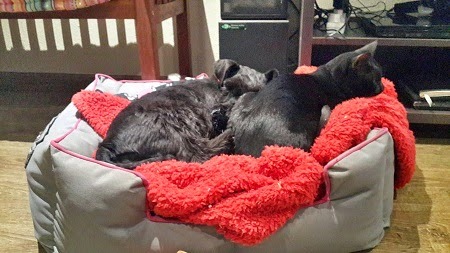 And even when The Trucker took Pepper out to wee and I moved the bed (Gypsy was still snoozing in it) to the bedroom, when Pepper got back she stared, tail-wagging at Gyps for a few minutes. And then just flopped back into the bed next to her. It was heart-melting stuff folks. Which probably only lasted another 15mins before they were chasing each other around the room with their usual pre-bedtime antics! Awww, your babies are SO cute together. It's so sweet that they've become good friends!